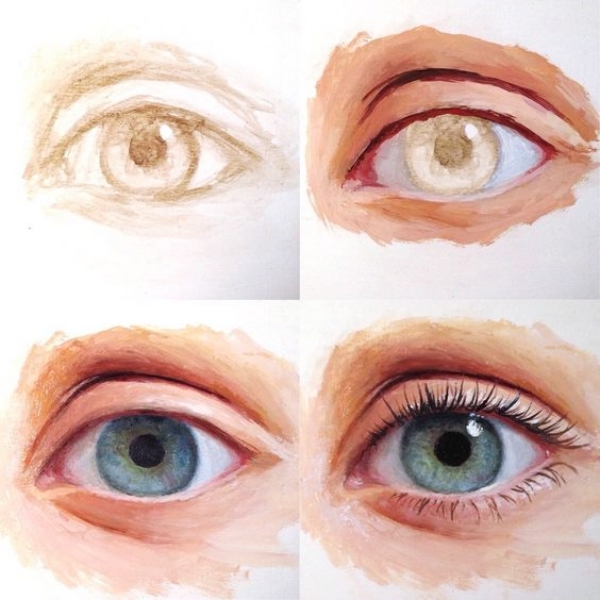 No artist on the planet can deny the fact that one of the most difficult entities to imitate is painting an eye. There is this talk about a lighting angle, shadow effects and shape but also the expression that matters a lot. Having said, “The eye is the mirror to the soul.” they are not just any means to view something but also portray exactly what one’s heart is feeling. How can drawing and painting and eye be a task easier when it is the only thing that conduits the human emotion, hence, adding an expression to your face. Speaking of, not just the human eyes but the eyes of animals also are difficult to paint and important to practice before you head on to paint such realistic masterpieces. Indeed, the medium does another half of you by texturizing the painting and adding life to it. 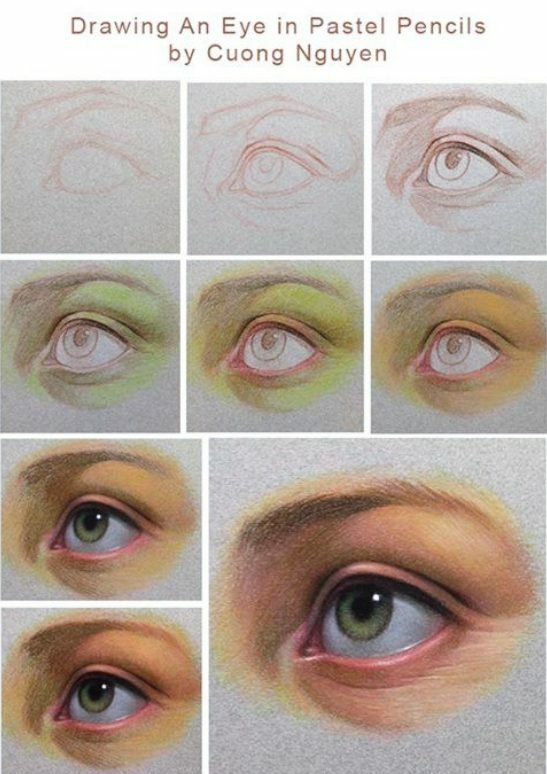 Understanding how to paint an eye is not just about being able to draw the correct shape and understanding the concepts of light and shadow, but it is about knowing how to use different mediums perfectly in order to get impeccable results. Before you head on to buy a canvas and some painting accessories, you better read this and know all about brushes. Though the painting and drawing are two ghastly diverse topics, the basic concepts and guidelines remain the same. If you are the one wanting to paint anime eyes, doesn’t really matter. Because we have these stunning tutorials for you right here. A trick that the smart me as a beginner used to understand the shape of an eye was by clicking an HD image of my eye and printing its enlarged snap. If you are interested to stare into your lover’s eyes, by all means, go on! 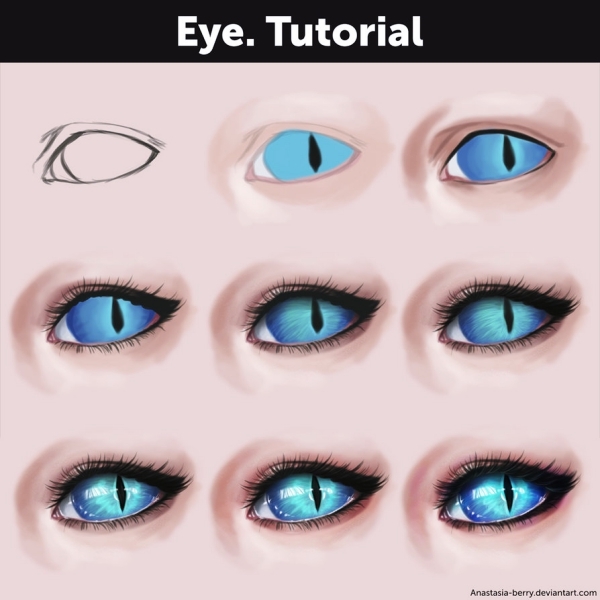 This could be a good head start for your newly found passion of drawing and painting eyes. 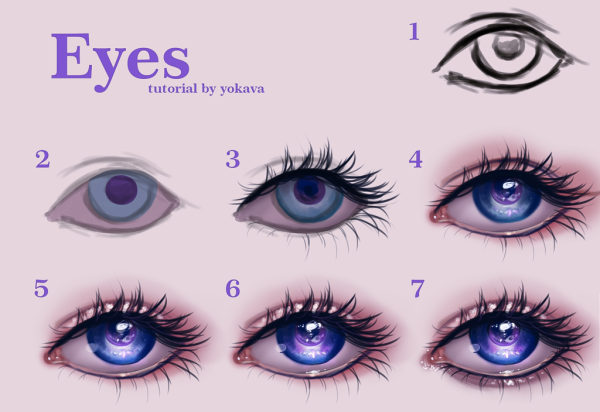 Use a light hand while drawing the eyes and start with the very outline of eyeball followed by the pupil and the iris. 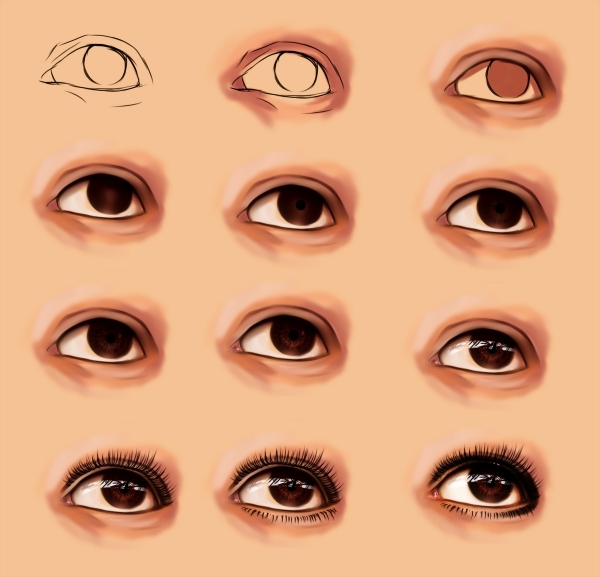 In order to define your eyes, don’t forget to introduce details like under eye marks and wrinkles and above the eye folding lines and eyebrows. 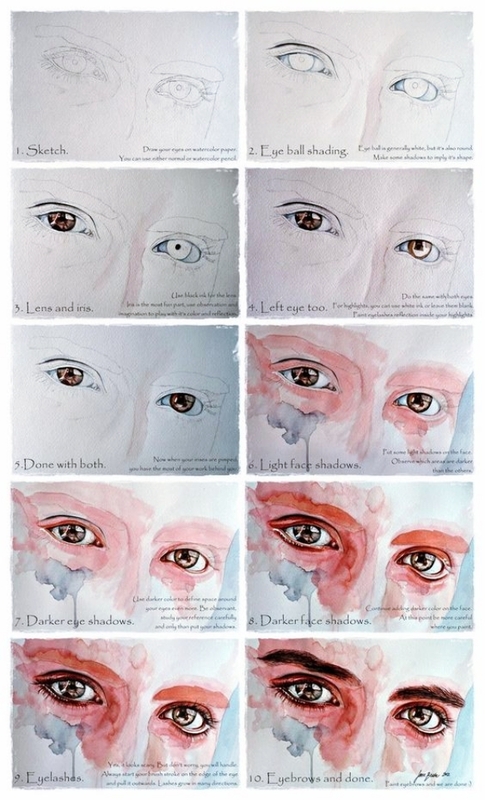 Before you head on towards painting the inside of an eye, move on to painting the flesh around it first. Mix the right proportion of Yellow Ochre and Winsor Red to get the ideal and desired skin tone and paint. 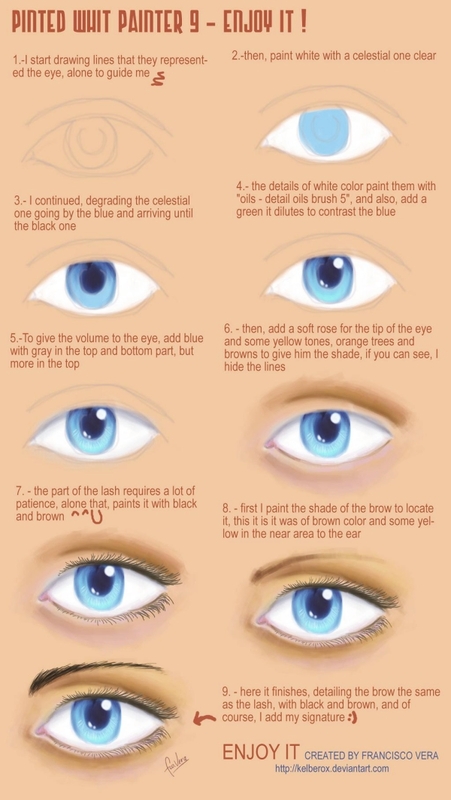 Attentively, paint the crease of your eye and under eye creases and folds too as to add the right detailing. 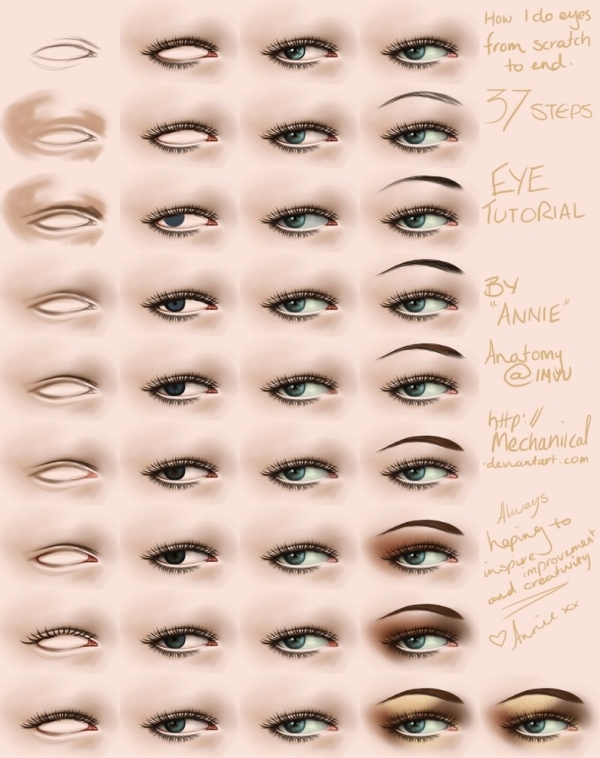 Follow steps to get the desired results and these seemingly tough drawing in minutes like a pro. The greys are what the colours of the eyeballs appear to be, isn’t it? Those are not actually grey but they appear to be the same all as a result of the shadow effect of a lid, eye cavity and our teeny-tiny forehead it looks more greyish than white. So, it is totally sensible to colour the eyeballs in the tinge of light grey. Stand in front of the mirror and observe your own eyes to understand the very fact that eyeballs are lighter towards the centre as compared to the corners. Iris and the pupil is the next step to go for. Before you start dabbing paintbrush on the insides of the eye make sure that the previous layer of paint is dried properly in order to resist unwanted blending of colours. If you were a bright student of science at school, you must know the mechanism of an eye. The size of pupil depends upon the intensity of light while the colour of iris could be visually striking one. The sleek and tiny radiating lines around the iris pigmenting the eyeball and detailing it with the multi-layered colour would make it more real. Whenever you stand in front of a huge tree, the tints of the tree and even the shadow of a certain part of the tree is visible on your eyeball, isn’t it? That is another step for your eyeballs towards looking more realistic by adding some more tints and tiny marks representing the shadow of objects around. Cheat sheets always help though! Different people have a different set of eyes and so the lengths and density of eyelashes vary as well. Again, exercise standing in front of the mirror and observe how your eyelashes are curving in a properly defined arc defining the eyes. Starting with the edge of the eyes you must begin painting the lashed moving your brush from the outside towards the inside. Make sure that you paint the bottom eyelashes shorter and thinner. Leave less than a centimetre lash-less. Observe the eyes and you will know why! 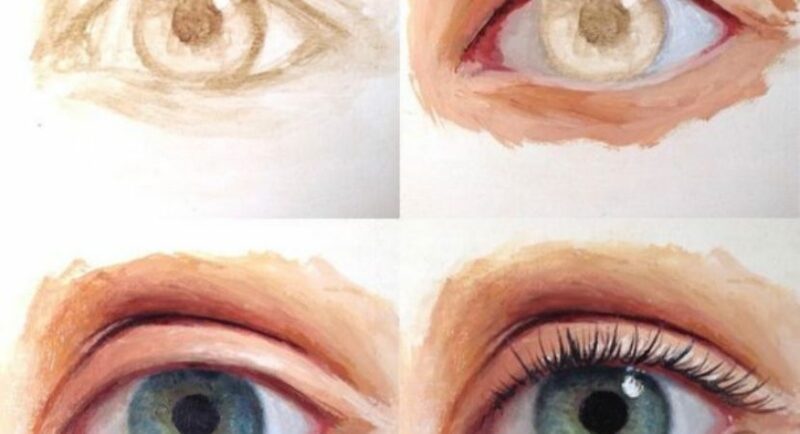 Now is the time to get over with this eye-painting thing and be a pro while painting the eyebrows ‘cause that is something you have mastered already. Also, finishing off may not be as tough as painting an eye was; it is but the most crucial part of any painting. Double check the crease line and amend any other flaw in just the impeccable eye painting.